If you are unsure which program area is best suited for your project, please view this document for an explanation of each program area. 4.  Your project MUST match any remaining criteria: If your entity has received previous grants from the Community Foundation, your grant reporting must be up to date. Please carefully read the grant guidelines for each grant cycle you are applying to. Grant guidelines are set by affiliate community foundations or grant fund holder, and restrictions on the type of projects funded may vary for each grant. Fiscal sponsorship refers to a relationship in which one organization that is tax-exempt serves as the official recipient of charitable donations for another organization that is not yet recognized as tax-exempt. In this relationship the organization that has tax-exempt status is the "fiscal sponsor" and the organization that does not have tax-exempt status is the sponsored organization. Typically the sponsored organization seeks out a fiscal sponsor that has a similar or consistent mission. Fiscal sponsors are the actual applicants, and will complete the application on the online grant site. Once a decision is made, they will be notified as to the result. The guidelines will provide information on the time frame for decisions. It is up to the fiscal sponsor to alert the sponsored organization as to the results of the grant decision and, if successful, help disperse grant funds to the sponsored organization. Sponsored organizations are encouraged to contact their fiscal sponsors to get the decision on their grant application. The fiscal sponsor is ultimately responsible to ensure the funds are spent as outlined in the terms of grant agreement and to see that a grant report is completed and submitted.